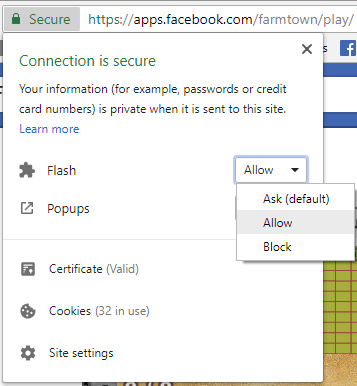 Opera - How to add Farmtown Flash Enabler. Last edited by Tiger Laybourne; Oct 02 2018 at 10:29 AM. 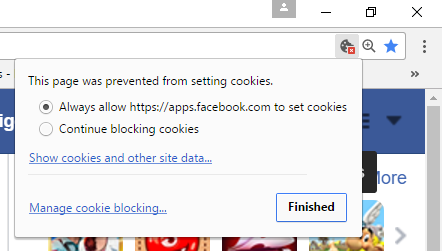 If you block 3rd party cookies in your browser you will need to follow these steps to allow all the sites for the game to load and for the lists to show when sending gifts or train boosts. These are the instructions for older versions of Chrome. For newer versions scroll down to "For Chrome Versions 59.0.3071.86 and above"
1. Top right of your browser at the end of the address bar is 3 dots. Hover your mouse over it and it will say "Customise and control Google Chrome"
2. Scroll down the list that appears and click on "Settings"
3. In the page that loads, scroll down to "+ Show advanced settings" and click on it. 4. Scroll down to the "Privacy" heading and click on "Content Settings". 5. A box will open called "Content Settings". 6. Underneath the "Cookies" heading is a box called "Block third-party cookies and site data". You need to put a check mark in that box. 7. When you have done that, click on "Finished". 8. Close your browser and then open it again. 1. Click on the three dots to the right of your browser bar. 2. Scroll down and click on "Settings"
3. The "Settings" page will load. In the dark blue search bar type in "Cookies". 4. The page will refresh. Scroll down to "Content Settings" and click on the arrow to the right. 5. Look for "Cookies" and click on the arrow to the right. 6. Scroll down and find "Block third-party cookies" Look for the switch icon on the right. 7. To block 3rd party cookies make sure the switch icon to the right of "Block third-party cookies" is all the way to the right and is blue. If it is off it will be grey. Click on one of the sites , one at a time (eg Facebook.com) and it will highlight in blue. Then click the "Allow" button. Repeat for each of the sites showing in that box. After you have done that click on "Close" then close your browser and then open it again and load your game. If you still see the blocked icon, at the end of your browser address bar, check your game first and see if you are able to send gifts or train boosts to friends. If not you will have to repeat the steps to allow the blocked sites through. Last edited by Tiger Laybourne; Jan 10 2018 at 12:28 PM. As of 4th September 2018, Chrome Version 69.0.3497.81 and above, you will have to repeat allowing flash to run every time you close and reopen your browser as Chrome no longer remembers your preferences of your last session, unless you add the Chrome extension the Slashkey developers have designed to enable it permanently. If Flash is disabled in your browser, when you load the game you will see the following. Please follow the instructions to enable flash in your browser. Look top right of that window and click on "Add to Chrome"
Last thing to do is click on "Add Extension"
The extension will be added and that's it you are done! Last edited by Tiger Laybourne; Oct 16 2018 at 04:53 PM. If Adobe Flash isn't working or you see the following error messages, try the troubleshooting steps below. If Flash Player doesn't open in 10 seconds please update your Flash. If you're using a mobile device, Flash won't work on Chrome. 2. Click on the 3 dots and scroll down the list that appears and click on "Settings"
6. Scroll down to the section called "Flash". You need to put a check mark in the box that says "Allow sites to run Flash" . There are 2 sets of instructions, try this first, if you can't get this to work scroll down to "Alternative Instructions"
NOTE: For Chrome versions 69 and above As of 4th September 2018 ONLY the first set of instructions will work and you will have to repeat allowing flash to run every time you close and reopen your browser as Chrome no longer remembers your preferences of your last session. 1. Look for an icon in the far left of your browser address bar . Click on that icon. NOTE: For Chrome Version 69.0.3497.81 and above the padlock icon is black not green. 2. A window will open. Scroll down to "Flash" and look to the right of it. It should say "Allow". If it says anything other than "Allow" click on it and it will bring up flash player settings. You need to change the setting to "Allow". 3. Your game should now load, you may see a Reload button which you need to click on to reload the game. If it does not, continue with the Alternative Instructions below. 3. In the search box at the top type in "flash". 4. Scroll down to "content settings" and click on the arrow at the right. 5. Scroll down to "Flash" and click on the arrow to the right. 6. At the top of the next window make sure the switch icon to the right of "Ask First (default setting)" is all the way to the right and is blue. If it is off it will be grey. 8.If your game does not load straight away, close your browser then reload. Under "Adobe Flash Player," click Check for update. Go back to the page with the Flash content. If it doesn't load automatically, at the top left, click Reload. Having problems updating Chrome? Learn how to fix Chrome update problems. Last edited by Tiger Laybourne; Sep 05 2018 at 05:55 PM. Opera browser- allowing flash player to run. You need to allow flash to run in Opera in order to load the game. 1. Click on the Opera icon, top left of your browser, that will open a menu. Scroll down to "settings" and click on it. 2. In the search box type in "Flash". Check it is set to "Ask first before allowing sites to run Flash (recommended)"
4. When you have done that reload your game. Last edited by Tiger Laybourne; Jan 10 2018 at 12:27 PM. How to add Farmtown Flash Enabler. The Game developers have designed an extension for Chrome to enable Flash player to run automatically instead of giving the browser permission every time you reopen the browser. This extension can also be used in Opera Browser. 1. Go to https://chrome.google.com/webstore/s... flash enabler You will see this..
2. Click "Add to Opera" button. 3. Click "Install" button in the Extensions Manager, you will then be prompted to click "OK" then "Yes Install". 3. Allow on all websites should have a check mark, if it does not , add it. NOTE: If you are using private browsing you will also need to add a check mark for "Allow in Private Mode". Last edited by Tiger Laybourne; Oct 02 2018 at 10:27 AM. 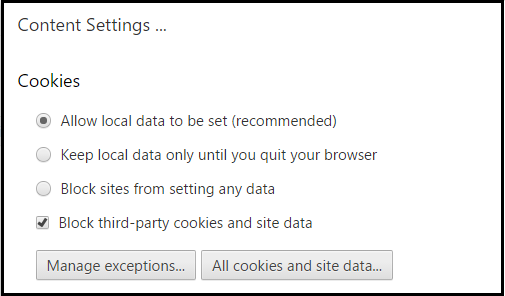 If you do not want to open up your browser to all 3rd party cookies or all pop ups follow the instructions below. Add the following web sites to the exceptions for those settings. In Firefox add the sites under the Content tab for pop ups and under the Privacy tab for cookies. For the cookies to work you must set the History setting to "Use custom settings for history"
Look top left of your browser address bar for a green padlock icon. To the left of that is a black battery. Click on it and and allow it only for Farm Town. OR you can set it in the Add-ins to always activate via the 3 lines top right of the browser window. If your game does not load straight away close and restart your browser for those changes to take effect. Last edited by Tiger Laybourne; Jan 10 2018 at 12:29 PM.